What is D-Black's net-worth ? He’s one of the most successful Ghanaian entertainers yet when it comes to the music business in Ghana. An example of America's P. Diddy and most comparisons bring up the same name. Hate him or love him, he’s been a major success. He’s won awards in the music industry an artist, as record label , his signed producer Dj Breezy won the coveted Vgma producer award before, his first artist Joey B won Best New Act at the Vgma’s, he’s made history being the first Ghanaian rapper to be nominated As Best Africans Act at the prestigious BET Awards, he’s the only Ghanaian Act with the coveted Channel O Award, he’s won awards in the movie industry for his 2015 Produced movie ‘Why Should I Get Married’ and the hospitality industry for his night club ‘Club Onyx. Let’s face it, D-Black knows his stuff. D-Black has performed extensively around Ghana and the world and kicked off his career by headlining his own Nationwide Tour 'The Yes Boss Tour' in 2011 a year after his first and second single releases 'Somebody ft. Kwabena Kwabena' and 'Get on da Dancefloor ft. Dr Cryme'. He hit the road touching all 10 regions of Ghana with upcoming acts and rising stars back then including Sarkodie , Efya , Yaa Pono, Trigmatic, Nana Boroo, Ruff & Smooth, Stay Jay and more back in 2011. He's collaborated with artists from all over the continent including Nigeria's Davido, Seyi Shay, Phyno, M.I, Ice Prince, MoCheddah, South Africa's Cassper Nyovest, Bucie , Mi Casa, Stanley Enow from Cameroon, Vanessa Mdee from Tanzania, Buffalo Souljah from Zimbabwe and some of Ghana's greats including Sarkodie, Bisa Kdei, Shatta Wale, Stonebwoy, Efya, VVIP, Castro and more with 3 albums under his belt. He's performed in Ghana at numerous concerts / events including The ‪Rick Ross‬ Live In Ghana Concert, The ‪Chris Brown‬ Live Concert, ‪Busta Rhymes‬ Live Concert, The ‪Jay Z‬ Live Concert, Miss Malaika, Ghana Meets Naija, Ghana Rocks, Night Train Beach Jam, Miss Ghana Beauty Pageant, Night With The Stars and more. Black Avenue Muzik (Record Label) ~ the music mogul kicked off his label in 2010 after he and Kwaku T separated as a group that same year signing only himself to his imprint and immediately snagged a BET Award nomination for Best African Act of the year in 2011, a string of Channel O nominations and a win for Best West African Act beating the likes of Wizkid , ‪P Square‬ and Sarkodie in 2012. After a successful nationwide tour 'The Yes Boss Tour' that saw D-Black hit the road with artists like Sarkodie , Efya , D Cryme, Ruff n Smooth, Stay Jay, Yaa Pono, Flowking Stone, Nana Boroo and more in 2011 . Sold out shows at the Tamale Sports Stadium, CNC Auditorium in Sunyani , Prempeh Assembly Hall in Kumasi and more saw D-Black cash in Big time. D-Black also signed award winning producer and DJ, DJ Breezy in 2013 and made him Head A&R and The Director of Music at the label in 2016. In 2013 award winning Afrobeats act Joey B was as well signed to his Black Avenue Muzik Label. 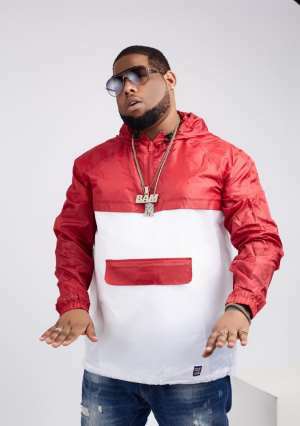 With 2 state of the art music studios and a production outfit , D-Black also makes revenue from the use of his studios located in his office building in North Kaneshie, Awudome Estates. He recently signed 6 new artists to the Black Avenue Muzik imprint including Ekikimi hitmaker Wisa Greid and new upcoming acts Sefa, Dahlin Gage, Freda Rhymz, Kobla Jnr, Nina Ricchie and Osayo and added music producer Rony Turn Me Up as well to the huge family. Livewire Events have been a force to reckon with since their 2014 inception. D-Black is the CEO of Livewire Events and majority shareholder of the firm. They've put together sold out concerts including the 2018 Bhim Fill the Dome Concert with Stonebwoy, the 2018 Kundum Festival with the Ministry of Tourism, The Night train Beach Jam with Shatta Wale, Stonebwoy, Sarkodie, D-Black, Bisa Kdei , Joey B and more , the annual Celebrity Soccer event which has seen three editions of which Dancehall King Shatta Wale has snagged two and the Bhim general winning the most recent edition. Livewire Events also put together that Joy Dadi Bitters sponsored Bukom Banku Vs Ayittey Powers Rematch Fight in Kumasi on Boxing Day to rave reviews pulling in over 20,000 people to the Kumasi Sports Stadium. Livewire Events has also produced events for Ciroc, Moet & Chandon Champagne, Belaire LUC, Remy Martin, Jack Daniels Whisky, Forewin Ghana Ltd. and more. D-Black is the sole proprietor / Ceo of Club Onyx, a plush nightclub located in the heart of Cantonments, 3 mins away from the Flagstaff House. Club Onyx is Accra's newest addition to nightlife in Accra and boasts an amazing interior decor setup and celebrity clientele. D-Black frequents his nightclub most weekends when he is in Accra. Oasis Lounge ~ D-Black is the sole proprietor / owner of Oasis Pool Lounge also located in Cantonments next to Club Onyx. With a cool serene environ, Oasis Lounge is open Thursdays - Sundays every week ‪from 5pm‬. D-Black owns fully his Clothing brand 'Black Avenue Clothing launched in 2014. The brand sold out its first designs (t shirts, hoodies, caps) by 2015 and are yet to see its second season. The Ghana Bwoy cashed in after his first produced and directed movie 'Why Should I Get Married' hit cinemas in 2015 starring superstar actors, comedians and musicians John Dumelo, Prince David Osei, Efya, E.L, Maria Nepembe, Reggie Rockstone, Princess Shyngle, Funny Face and more. Three Premieres in Accra, Kumasi and Cape Coast saw a huge turnt out at all 3 venues. Black Avenue Tv / Films produced the Peace Hyde hosted 'The EFGH Show' that aired on GhOne TV , ETV and 4Syte TV to rave reviews in 2014.